January 23, 2018 – DJI, the world’s leader in civilian drones and aerial imaging technology, today introduced Dji Mavic Air, an ultra-portable, foldable camera drone that delivers higher performance, more intelligent features and greater creative possibilities than any other consumer drone. 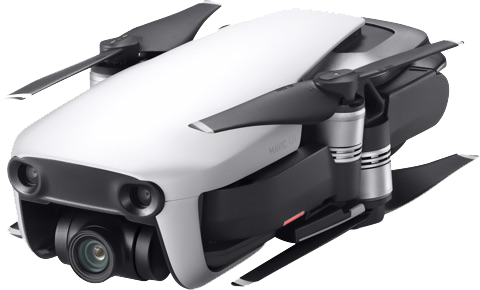 Announced today at an event in New York City, the $799 Mavic Air slots right in between the company’s cheapest drone (the $499 Dji Spark) and its most capable prosumer model (the $999 Mavic Pro). It goes on sale January 28th. DJI says it “went back to the drawing board” for the Air, which folds up small enough to fit into a pocket. In fact, it’s so portable that the company’s director of North America actually stuffed two of the “smartphone-size” drones into his vest pocked at today’s event.” It’s roughly half the size of the Dji Mavic Pro and weighs around 41-percent of its predecessor. The Dji Mavic Air takes the Mavic Pro’s foldable, compact design and makes it even smaller. Considering the DJI Mavic Pro was hardly a behemoth, that’s no small feat. 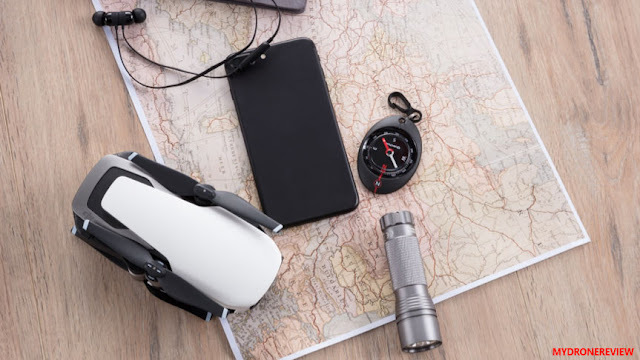 Now, when folded down, the DJI Mavic Air is just about larger than a phablet in terms of footprint, and about half the size of the Mavic Pro, which makes it DJI’s most portable model yet. While it’s unlikely to fit in your jeans pocket, it did fit reasonably comfortably in my jacket. The Mavic Air weighs in at a svelte 430 grams (a little less than a pound). That’s a bit heavier than the 300 gram Spark, but substantially lighter than than the larger Mavic Pro (734 grams). Impressive, given that its feature set is much closer to that of the Mavic Pro than the Spark. 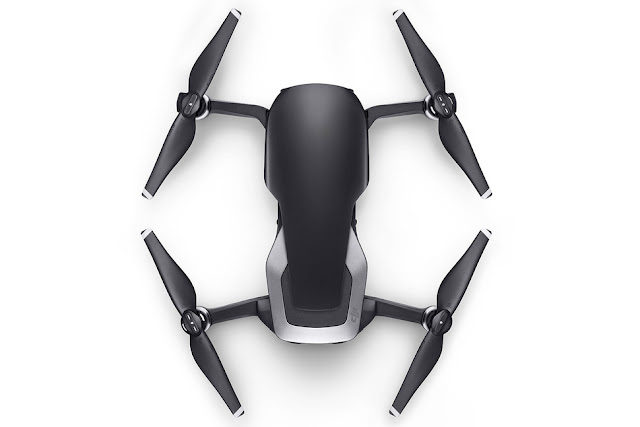 Also, when you consider the folding design of the Mavic Air, it’s arguably more portable than the Spark which, while very lightweight, doesn’t benefit from the folding design. Unless cost is a deciding factor, it would be hard not to choose the Mavic Air if portability is your priority. 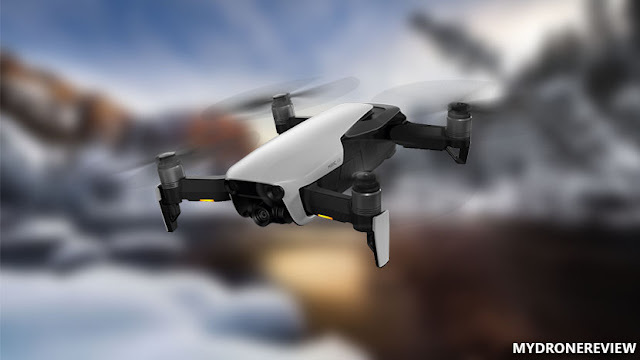 The specs of the Dji Mavic Air are much closer to those of the Mavic Pro, which should please consumers who thought the Spark was too underpowered to use for filming or photography. In some ways, it almost sounds better. The Mavic Air uses a 1/2.3-inch sensor that shoots 4K video at 24 or 30 frames per second, or 12-megapixel stills, all with a wide angle 24mm f2.8 lens. It tops out at 42.5 miles per hour, can withstand winds of up to 22 miles per hour, and has a 2.5 mile range (within visual line of sight) thanks to a new antenna design. With support for recording 1080p 120 fps slow-motion video, the Mavic Air captures all your epic high-speed adventures. Mavic Air has a maximum flight time of up to 21 minutes. It can fly stably in windy conditions of up to 22 mph (36 kph) and at high elevations of up to 16,404 ft (5,000 m) above sea level( Maximum flight service ceiling. Maximum flight altitude above ground level is limited for safety purposes.). It takes 55 minutes to charge a battery fully when using a standard USB charger or a Charging Hub. 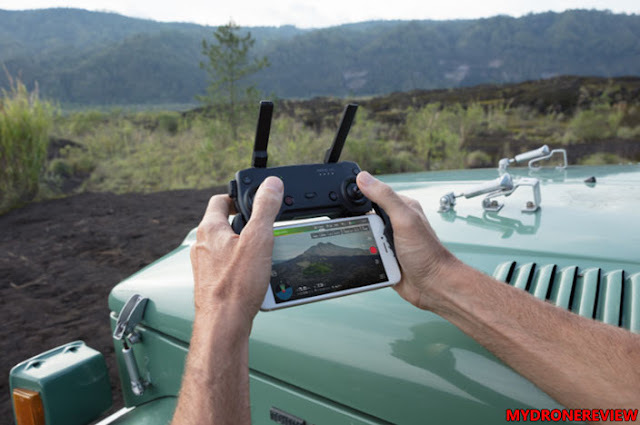 Dji Mavic Air’s remote is the first to feature detachable control sticks that can be stored inside the remote controller for added portability. Its omnidirectional antennas placed on the foldable landing gear help increase signal coverage to deliver a maximum range of up to 2.5 miles (4km) with 720p real-time video transmission when flying with the remote controller. When in Sport mode, Mavic Air flies at exhilarating speeds of up to 42mph (68 kph) and is compatible with DJI Goggles for an immersive FPV flight experience. The included controller works with a smartphone and operates at a range up to 4km / 2.5mi. It appears visually similar to the Mavic Pro and Spark controllers, but unlike those models DJI designed the Air's controller to be as compact as possible for transport. It's even possible to remove the flight control sticks if necessary to fit into a very tight space. This should be a welcome feature to adventurers who may want to stuff the Air into a backpack full of other equipment, such as climbing gear and ropes, without risking damage or taking up any more space than absolutely necessary. DJI is promising both updated and improved software features on the Mavic Air, too. There are new shooting modes (including a 32-megapixel panorama option, or a tiny planet mode), better gesture controls, and the company claims it’s improved its image processing in order to squeeze better photos and videos out of that relatively tiny sensor. A new obstacle avoidance software, which calls on more sensors and better algorithms, will help the drone avoid and move past obstacles instead of just stopping in front of them, according to DJI. With a powerful camera housing a 1/2.3” CMOS sensor and the equivalent of a 24mm F2.8 lens (on a 35mm full frame sensor) captures high-quality photos and videos. Mavic Air photographs crisp 12-megapixel still images utilizing new HDR algorithms that preserve more highlight and low light details, allowing you to capture stunning aerial pictures from sunrise to sunset. As seen in other consumer-focused drones in DJI's range, the Dji Mavic Air offers QuickShot video modes with pre-determined flight paths that keep the subject in-frame. Along with the Rocket, Dronie, Circle, and Helix paths seen previously are two new modes, with Asteroid starting with a spherical image that zooms in and descends towards the subject on the ground, while Boomerang circles around the subject in an oval-shaped flight path. The ActiveTrack intelligent flight mode has been improved to allow it to sense multiple subjects in a frame, as well as being able to keep the main subject in frame during high-motion activities. 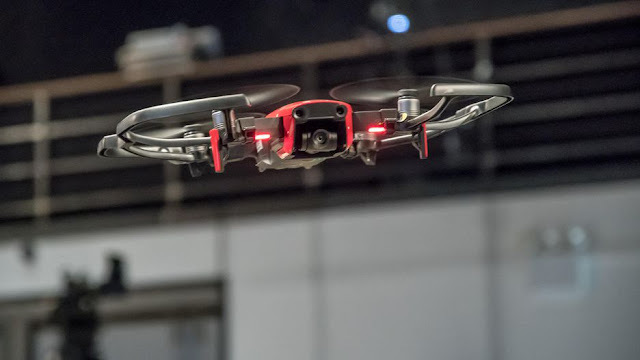 SmartCapture, the gesture system introduced with the Spark, lets users provide hand-based commands to the drone from up to 20 feet away, including to launch, land, push and pull the position, follow, and take a photograph. 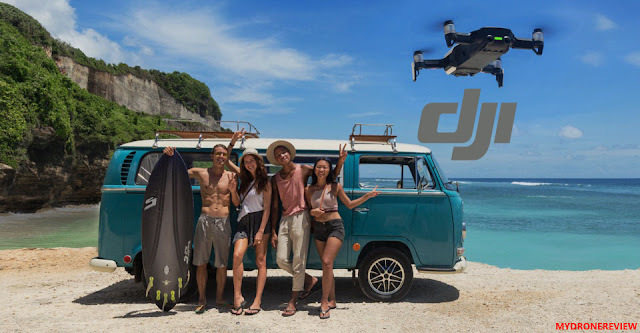 Don't forget Dji Mavic Air is DJI’s first drone with 8 GB of onboard storage letting you save photos and videos directly to the aircraft on the go, plus a micro SD card slot for additional storage capacity. The newly-added USB-C port makes exporting captured footage easy and fast. Where the drones difference most in design is in their respective sizes. The Mavic Air is roughly half the size of the Mavic Pro, and it’s 41% lighter. The Mavic Pro weighs in at 1.62lbs (734g) while the Mavic Air is just 0.94lbs (430g). The Mavic Air is just as wide as its big brother, but it’s shorter and shallower. 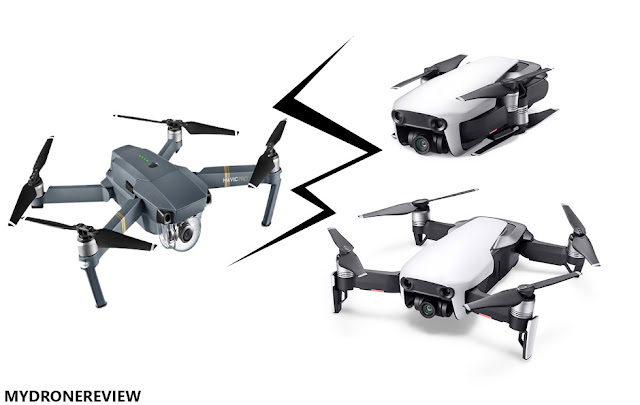 The Mavic Pro measures 7.79 x 3.26 x 3.26 inches (198 x 83 x 83mm), while the Mavic Air measures a pocketable 6.61 x 3.26 x 1.92 inches (168 x 83 x 49 mm). The Mavic Pro’s camera system is comparable to the Mavic Air’s, but there are some differences. The Mavic Pro also supports its camera on a 3-axis gimbal, but it only has a 78.8-degree field of view. Its camera can also snap 12MP still images and shoot 4K video at 30fps. 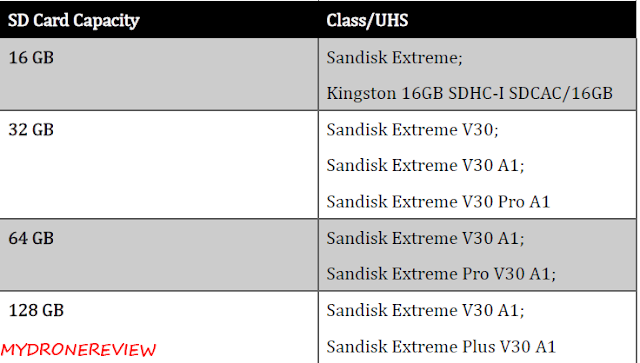 However, to hit 120fps, it has to shoot at 720p, and it can’t capture HDR images. It does get a leg up in professional video applications, though, as it can shoot in cinematic 4K (a higher resolution version) at the industry-standard 24fps. The Mavic Pros video bitratre is a bit slower than the Mavic Air’s, coming in at 60Mbps. The Mavic Pro has a greater range than the Mavic Air, that’s not the end of the story when it comes to flight and controls. Both the Mavic Pro and Mavic Air come with remote controls and support DJI Goggles for a first-person flying perspective. On these points, the two are evenly matched. The all-new DJI Mavic Air will retail for $799 and will be available for pre-order starting today. A Fly more combo with extra batteries (2) for an hour of flight time, extra propellers and more will be $999. Shipping will start as of January 28th. Hello. Is this new product the same quality for photos as the mavic pro or better ? DJI may make a good Drone, but their customer service is so bad I will not ever but another DJI product. A product is only as good as the customer service and DJI has none. Air drone may be the simplest selection for the U.S. once wears searching for creating the simplest photograph of the folks and different special moments of life. By exploitation the best mini drone you'll simply entertain your family friends by creating the video or taking part in the sports game with the drone.